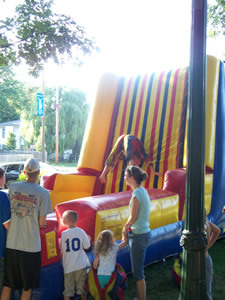 22 foot long and 13 foot tall velcro wall! 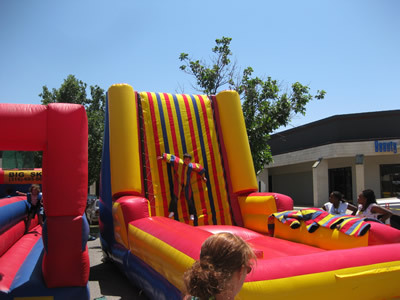 This unit will have your guests talking about your party for weeks! 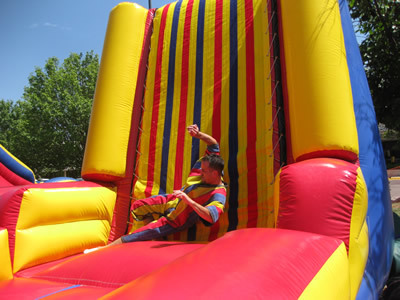 Participants step into a multi-colored, striped sticky suit which has corresponding velcro straps, and sprints down the runway. 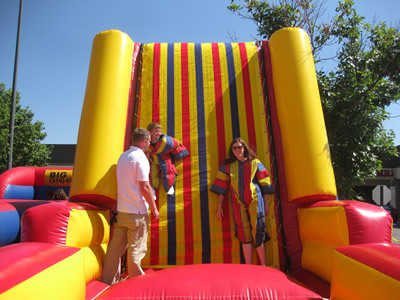 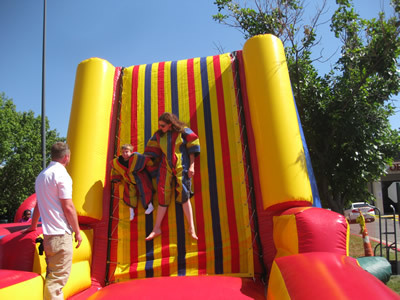 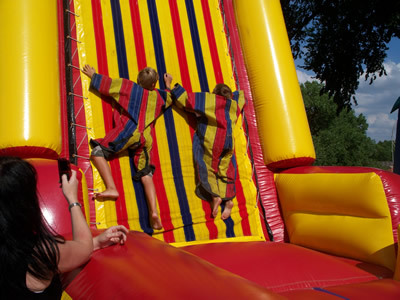 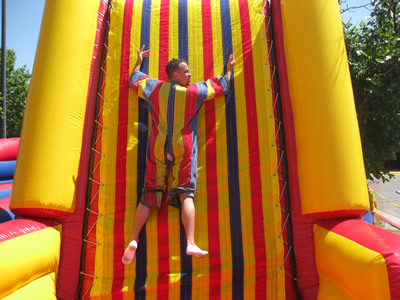 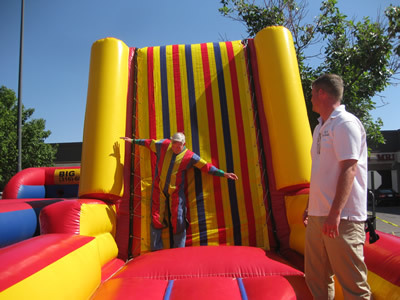 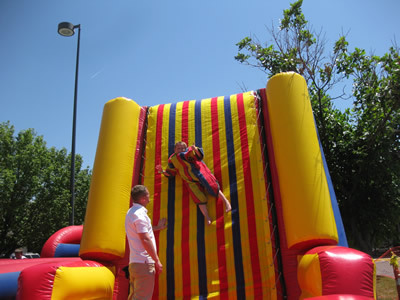 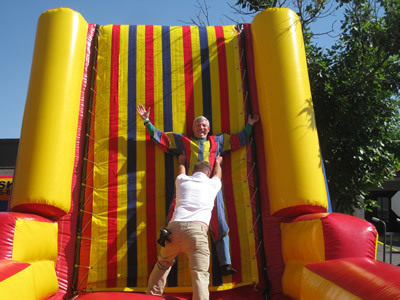 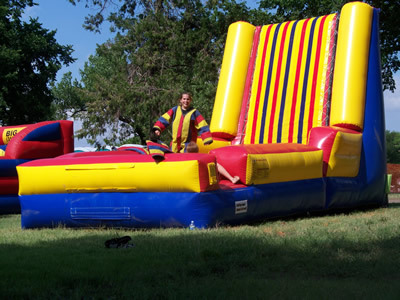 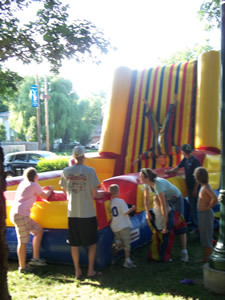 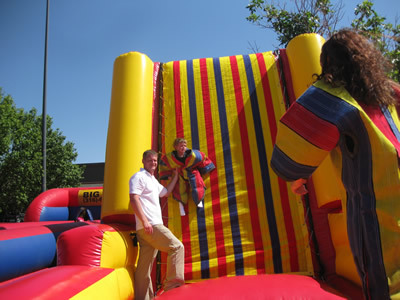 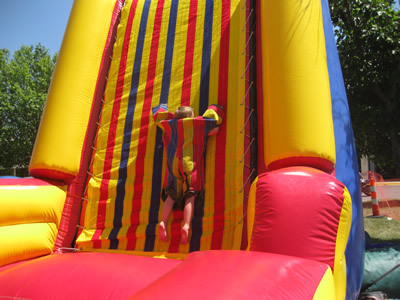 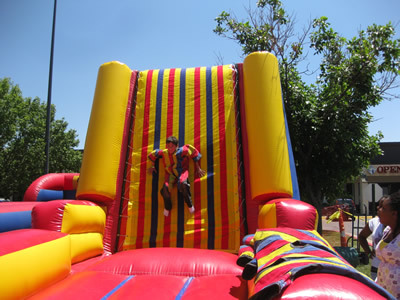 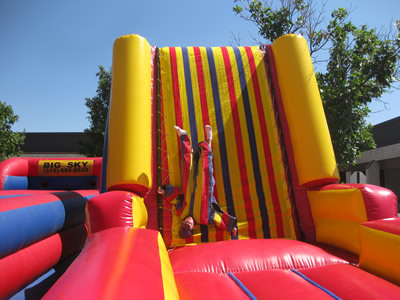 After they get some air with a good bounce, guests will find themselves hanging around on the 13 foot tall velcro wall! 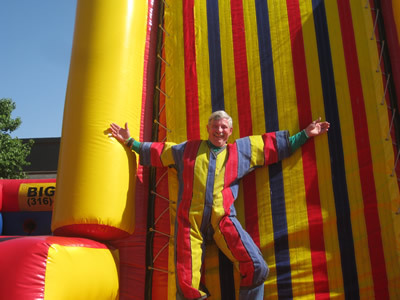 The suits and the wall are meant to hold both adults and children, and offer a great bonding experience for parents and their kids! 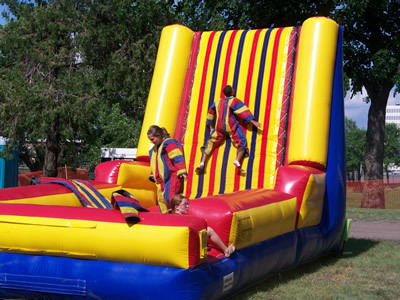 The bright bold stripes and the red / yellow walls of this inflatable game will be sure to capture the attention of all!